Honda is gradually becoming an important player in the hybrid segment in the United States and wants to consolidate its position by introducing more reliable hybrid models. Hence the recent introduction of the all-new 2018 Clarity Plugin Hybrid, an exquisite sedan priced at $33,400. The top of the line Touring is also set at $36,600. For that kind of money you get an extremely fuel-efficient model with an impressive mile range and plenty of new safety gizmos and high-tech stuff. The 2018 Honda Clarity Plug-in Hybrid comes with a hybrid powertrain, consisting of a 1.5-liter Atkinson flat-four engine and a 17-kW battery pack. The entire system develops an impressive 212 horsepower, adding as well a 340 mile range. On pure electric model, the new Clarity is also able to run around 50 miles. 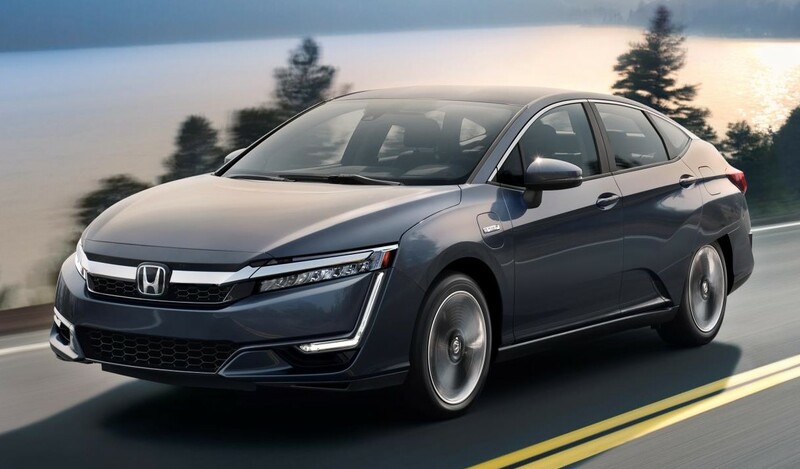 As for fuel consumption, the 2018 Honda Clarity Plug-in Hybrid is capable of achieving 44/40/42 MPG rating, available in three modes: Normal, Eco and Sport. However, there is also the HV mode which keeps track of the battery`s charge status. Visually, the new 2018 Clarity retains the latest language philosophy that Honda carmaker has implemented on most of its newest models. Besides the evolutionary design, the new model from Honda adds a series of new features, like LED daytime running lights, rain-sensing wipers or new 18-inch alloy wheels. As for interior details, common features comprising both variants refer to eight-inch display, rearview camera, USB, HD radio, dual-zone climate control, smart start and entry, stability assist, side and knee airbags and so on. Additional features for the Touring refer to Navigation with Charging Infrastructure Information, perforated leather and Ultrasuede, leather steering wheel, or eight-way electric seat for the driver with memory. 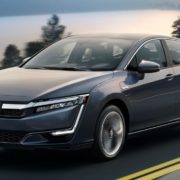 The 2018 Honda Clarity Plug-in Hybrid launches in the US starting with December 1st. Stay tuned!